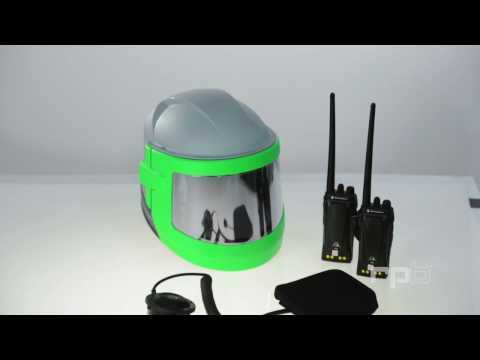 Maximized safety levels, improved blasting experience and increased productivity through the wireless communication system which is compatible to most radio systems. NOVA TALK enables constant contact with crewmembers working in remote or secluded areas such as tanks, water towers, etc. on shipyards, sites, etc. The NOVA 3 TALK can be used to enhance operator training. Operating at full efficiency using both hands in dark areas (tanks, etc.) because of a highly concentrated, powerful LED light integrated in the helmet enlightening the path of vision like broad daylight. The light is powered by a strong rechargeable Li-ion battery, so no more hassle with electric cables in the blasting area. 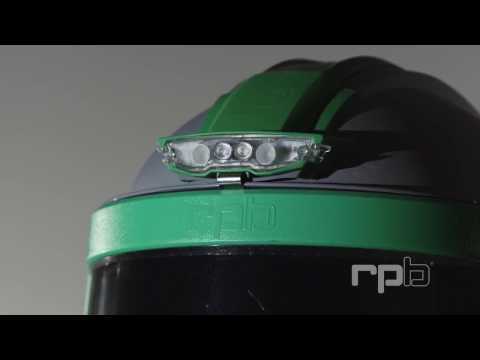 The light is mounted on top of the helmet and thus follows the movement of the head and therefore the field of vision of the blaster. As a result, the blaster also has light when leaving the blasting area. The L4 unit comes with an easy field-replaceable outer lens to ensure a good light output over-and-over again.